Nobody could ever argue that Austin isn’t an awesome place to live. We show up pretty consistently on lists of “Best” cities in America, and since you live here, too, we probably don’t need to explain why. We’re green, we’re weird, we’ve got crazy cool night life, incredible history, and we’re one of the safest cities in the country. What we’ve also got, though, is allergies. Lots of them. The high rate of allergies and asthma in our city is primarily due to a higher than average concentration of pollen and mold. Unfortunately, there’s little you can do about the pollen. But mold is a different story. Removing mold from walls, ceilings, and floors is a project that any Austinite can accomplish. You’ve probably heard that mold is toxic, but in reality it only takes a few simple, commonsense precautions to make mold removal safe in all but serious cases. Conquer your allergies, Austin! Read on to learn how to go about removing mold from walls, ceilings, and floors safely and effectively. Cleaning mold is not physically difficult work, but it does require some specialized tools and materials. Not only will you need to purchase the solutions necessary to kill the mold, you’ll also be purchasing new drywall and the related materials necessary to patch your walls and ceiling once the job is done. Keep in mind that if you don’t own some of the required tools, they can be rented from most home improvement stores. When at all possible, the debris from mold removal should not be carried through your house. This risks mold spores being released into previously clean rooms. In addition, allowing moldy items to sit around your house, even in garbage bags, can pose a health issue–especially if anyone in your family has asthma. A good solution is to find an Austin dumpster rental. If space permits, the dumpster can be positioned under a window of the room you’ll be cleaning, allowing you to dispose of moldy items without dragging them through the house. Even if you can’t position the dumpster under a window, you’ll avoid the problem of moldy items hanging around your house, since the dumpster can be picked up the next day–or even same day in some cases. First, you’ll need to identify all the problem areas in your home. Make things simpler for yourself and begin your search in the most likely areas: anywhere prone to high levels of moisture. This includes kitchens, bathrooms and basements, as well as any area where you’ve recently had a leak or flooding. Look for discoloration on the walls and ceiling. Musty odors and white or black spots are also indicators of mold. Whenever you find mold, use a pencil to mark a rough outline of the affected area. When in doubt, err on the side of making the outline too large. Better to get rid of a little bit of good wall or ceiling with the bad, rather than measure too narrowly and leave mold behind to continue spreading. Now, measure each affected area. If any are larger than 10 square feet, this means you likely have a major infestation on your hands and you should hire an Austin mold remediation company to deal with it. However, if each area is smaller than 10 square feet, then DIY mold removal can handle the problem. As you work, it’s inevitable that mold spores will become dislodged from the drywall and be kicked up into the air. It’s important to take measures before you go to work to ensure the mold doesn’t spread or pose a health hazard. First, move all furniture and other items in the area to a mold-free room, especially if they’re made of fabric. If there are any items in the room that have molded so severely they’re not salvageable, either toss them in the dumpster immediately, or seal them tightly in plastic garbage bags before removing them from the room. If you do plan to clean and save a slightly moldy item, either leave it in the room while you work or bag it up before you remove it. This way, you ensure that you don’t spread mold spores to other rooms. Second, duct tape plastic over all vents in the room to prevent any loose mold spores from being sucked in and blown throughout the house. If you have them on hand, you can simply use old plastic grocery bags, provided they’re free of holes. If not, you can purchase plastic sheeting at most home improvement stores. If you can’t find plastic sheeting, buy a tarp and cut it into pieces. 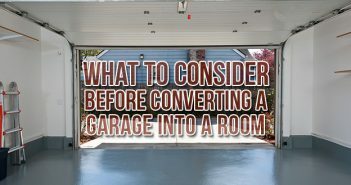 Similarly, duct tape a plastic flap over any doors into the area. If there is a window, open it to allow ventilation and to allow loosened mold spores to be sucked outside. Finally, make sure you’re protected before you go to work. Not only can mold be a health hazard but you’ll be working with hazardous materials to get rid of it. Wear shoes that fully enclose your foot, long pants, a long-sleeved shirt and rubber gloves. It’s also very important to wear eye protection and an OSHA approved face mask. Use a stud finder (or other method) to locate the wall or ceiling studs nearest to the perimeter you outlined around the first mold affected area. Redraw your outline, using a straight edge this time, so that the perimeter falls along the middle of the studs. Don’t worry if this means making the outline quite a bit larger. Having studs as backing will ultimately make it much easier to hang new drywall when you’re done cleaning mold. Confirm that there are no electrical lines or plumbing inside the wall behind the affected area. As a general rule of thumb, if the affected area is above shoulder height on a wall, there’s unlikely to be anything behind it. Likewise, if there’s no overhead lighting in the room, then there’s unlikely to be anything in the ceiling. However, when in doubt, rent a digital viewer. This device consists of a small camera attached to a flexible shaft that can be fed through a small, easily patched, hole in the drywall to show you what’s inside. If you do find electrical lines or plumbing behind the affected area, you don’t want to cause any damage to them during your mold removal. 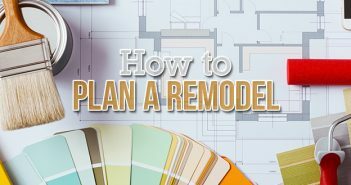 Ideally, you should call in a contractor to remove the drywall for you safely, but if this is out of the question, you will need to work very, very carefully. Use a keyhole saw to cut around the perimeter you marked. When cutting over a stud, make shallow cuts and stop immediately when you hit wood. Use a hammer to make a hole in the middle of the section. If you have to be careful of what’s behind the wall, cut a hole with the saw, making sure to cut as shallowly as possible—you don’t want the saw blade protruding any farther into the wall than is absolutely necessary. Grab the edge of the hole and begin tugging the drywall from the wall. Remove small pieces at a time, working carefully to avoid damaging unaffected areas of the wall. If desired, you can use a spray bottle to mist the mold with water as you remove the drywall. This will weigh the mold spores down, making them less likely to disperse throughout the room. Once all the drywall has been removed from the area, remove any drywall screws left in the studs. Before you begin actually removing mold from walls or ceiling, check the studs for signs of dry rot. Dry rot is a fungal infection that often occurs in wood in the same type of environments that encourage mold growth. If dry rot has set in, the studs will need to be replaced before you can finish your clean up and patch the dry wall. If you don’t mind a little carpentry, you can replace wall studs yourself, or you can opt to hire a contractor. Clean the studs using a scrub brush and a solution of ¼ cup bleach to 1 gallon of water. Allow the studs to dry for at least 20 minutes, then repeat and allow to dry for another 20 minutes minimum. Now make another solution using 1 cup of borax to 1 gallon of water and scrub the studs with it. This will help to “seal” the wood against new mold growth. Allow to dry thoroughly. If desired you can run fans in the room to speed up the drying process, but be sure to point them toward the open window, so that any mold spores they dislodge will be blown outside. Once the studs are completely dry, use a small paint brush to coat them with zinc oxychloride liquid (ZOC), a chemical that discourages mold and mildew growth. Always wear rubber gloves, goggles, and an OSHA approved mask when working with ZOC. Throw the brush away when you’re done with all of your mold cleanup. DO NOT attempt to clean and reuse it for other projects. Repeat both of the above sections for each mold-affected area you identified. Cut a piece of drywall to fit the hole using a razor blade. Have a helper hold the piece in place while you secure it to the studs using drywall screws. Apply drywall compound and tape according to brand instructions and allow to dry as indicated. Once dry, sand the patch down using medium grit sandpaper. Reapply compound, allow to dry, and re-sand as many times as needed to properly blend the patch with the wall. If necessary, paint to match the existing wall. What if the Mold is Under My Flooring? Mold can be cleaned from under your flooring in basically the same manner you would use to remove mold from walls or ceilings. You’ll remove the flooring above the affected area, scrub it clean, and then replace the affected flooring. 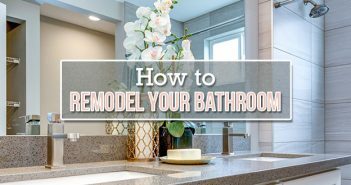 But be aware that if mold has gotten under your flooring it’s very likely that you’ll end up needing to remove all of it from the room in question, rather than just a small section. With this potentially much larger amount of debris in mind, if the mold in your home is under your flooring, a dumpster rental is an even better idea to make your clean up easier to manage. Step 1: Prep the room as described above and dress in appropriate clothing: shoes that fully encase your foot, long pants, a long-sleeved shirt, rubber gloves, eye protection, and an OSHA approved face mask. Step 2: Pry off the baseboards around the affected area, as well as any transitional flooring trim if applicable. Step 3: Begin removing the flooring material in the area. Plan to remove all of the affected area, plus about two feet extra. If you find mold within that extra two feet of space, then keep removing flooring until you’ve found the extent of the affected area. Again, be prepared for this to mean removing all of the flooring in the room. Begin at one end of the affected area. If you have wood flooring, pry up the slats. If you have carpet, tear it and the backing away from the tack strips. For vinyl, linoleum, similar flooring types, make several long cuts through it using a razor blade, then slide a scraper under each strip, pulling the material up as you go. If sections of linoleum or vinyl are stuck on, you may need to use a chemical stripper or heat gun to get them up. No matter your flooring type, work slowly and carefully. As you remove flooring, use a spray bottle to mist the exposed mold with water. This will help prevent it from dispersing into the air as you work. Pause as needed to dispose of debris as it begins to get in your way. If you found a good Austin dumpster rental, opt, if possible, to position it below one of the room’s windows. This way, you can simply toss the affected flooring out the window without having to carry it through the house. If you’ve decided against renting a dumpster, you’ll want to bag up the flooring in tightly sealed garbage bags before removing them from the room. Step 4: Make a solution using 1 cup of borax to 1 gallon of water. Use a scrub brush or stiff bristled broom to spread it over the affected area. Don’t scrub or apply pressure yet. Wait 15 minutes to allow the solutions to fully saturate the mold. Scrub with the brush or broom, then apply a new coat of solution. Wait another 15 minutes, scrub again, and then allow to dry thoroughly. Still wearing eye and mouth protection, vacuum the area (if your vacuum has a HEPA filter.) to get rid of the dead mold. If your vacuum doesn’t have a good filter, instead sop up the dead mold using a rag dampened with borax solution. Do not soak the rag—this will only spread the dead mold around. As you work, rinse the rag frequently in a separate bucket than the one you use for the borax solution. This second bucket can be filled either with more borax solution or plain water. Lay down new flooring only when the floor is completely dry. Whether your mold was in the walls, the Ceiling, the floor, or all three, once you’ve cleaned it up and the affected areas are dry and patched, give the entire a good scrub down using normal methods. This will take care of any residual dead mold spores that may be hanging around. Also clean the items that need to come back into the room, using appropriate methods. With that done, smash a box of tissues in celebration: a life of fewer allergies is now yours! NEVER mix bleach with ammonia or any other household cleaner. Mixing bleach with these substances produces highly toxic fumes. Drywall should never be used as backing for tile or other materials, especially in moist environments. If this was the case in your home, you’ll want to hire a contractor to replace the drywall with an appropriate backing material. Different types of molds have differing levels of toxicity. Some are completely non-toxic, but will still cause irritation if inhaled, especially for asthma sufferers, which is why protective clothing is always recommended no matter what type of mold you’re dealing with. The most harmful type of mold is black mold. Consistent exposure to black mold can cause chronic coughing fits, chronic fatigue, chronic headaches, rashes, or fever. In cases of extreme and prolonged exposure, black mold can cause nausea/vomiting and bleeding in the nose and lungs. Black mold can be treated in the same way as other mold types (outlined above) but if you have more than a small area of black mold, it may be best to hire professional mold removers, especially if you are allergy or asthma prone. Mold removal success story? Crow about it in the comments!